We hope you’ll choose us for all your flooring installation needs in Barrie, ON. When you choose new flooring, you are making an investment in your home. Flooring is one of the bigger purchases your will make for the style and feel of your home, so you want to be sure it’s done right. The best way to ensure that investment is protected is to have your flooring installation provided by our professional experts at Giant Carpet Flooring Centre. We have decades of experience in providing flooring installation using a variety of materials. 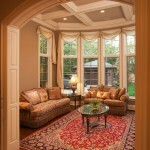 We install carpet that is correctly measured, trimmed, stretched and tightened. Your hardwood will look beautiful as we ensure the correct and eye-pleasing placement of each board. We are up on the latest trends and standards of all types of tile, and we have tons of experience with the quick and easy installation of laminate and vinyl floors. We will get the job done right the first time, so you can enjoy your home. We start with removing your old flooring, delivering the new product, installing your flooring, cleaning up, and then counseling with you about the right maintenance for your particular floor. After installation, we also will service your floor to ensure you enjoy your flooring for years to come. At Giant Carpet Flooring Centre, we have been serving Canada for over 30 years, and we’ve been at the same location in Barrie, ON for the last 17 years. We have a longstanding reputation for high quality and excellent customer service, so we hope you’ll choose us for all your flooring and flooring installation needs. At Giant Carpet Flooring Centre, we offer flooring installation services in Barrie, Alliston, Angus, Newmarket, Cookstown, Innisfil, Bradford, Midland, Wasaga Beach, Collingwood, Muskoka, Gravenhurst, Bracebridge, Orillia, Thornton, Everett, and all of Simcoe County, Ontario.